The latest book from author Dr. Enver Bytyçi titled “Coercive Diplomacy of NATO in Kosovo” was launched on May 30, 2015. The event was organized by the Ambassador of Kosovo in the UK, Mr. Lirim Greiçevci and the Ambassador of Albania Mr. Mal Berisha. 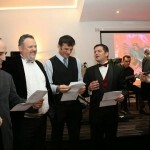 It was held at the Embassy of Kosovo in London as part of the Albanian-British Festival of Culture. The discussion and Q&E session was chaired and led by Mr. Arion Krasniqi. 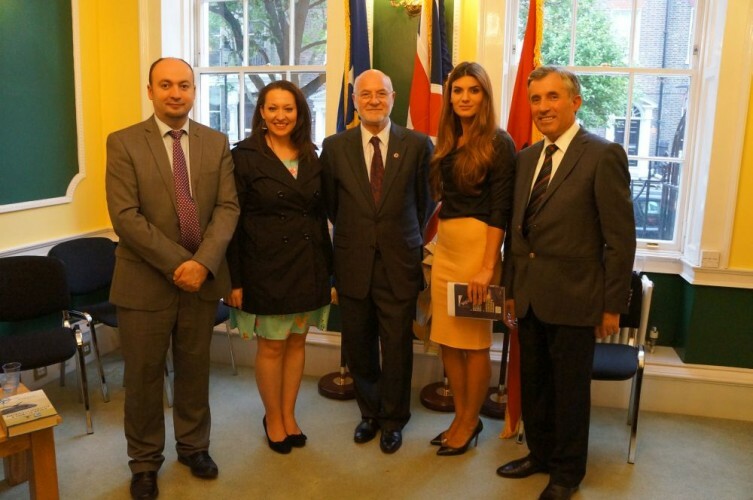 On May 30, 2015 four guest speakers joined the successful book launch event, namely: Deputy Ambassador of Kosovo Arion Krasniqi, Ambassador of Albania Mal Berisha, British Parliament Member Mark Pritchard and renowned author Dr. Enver Bytyçi. Rezarta Bytyçi, the author’s daughter was also present at the London event, amongst other honored guests, dignitaries and participants. MP Mark Pritchard praised the author’s work and Dr. Enver Bytyçi as a prominent publicist respected in the Albanian, British and international academia. MP Pritchard also emphasised the genuine friendship between United Kingdom, Albania and United States. His Excellency Mr. Mal Berisha spoke about the great contributions of the book and NATO’s essential role in the Balkan region. Ambassador Mal Berisha has played an important role in the building of the democratic institutions in Kosovo while working for the United Nations Mission in Kosovo (UNMIK). During his speech Dr. Enver Bytyçi spoke about the legitimate actions of NATO in Kosovo. Dr. Bytyçi stressed Kosovo’s interests and efforts in becoming a model for development in Southeastern Europe. He stated that a good governance in Kosovo and Albania is the key to facing the challenges of the 21st century in a successful manner. “NATO came to Kosovo after the Albanians re-embraced the European orientation by praising civilization and humanity, as weapons for survival and later on for development. The civilized world, especially the USA, proved protection of Kosovo in the name of humanity, stability, peace and security in Europe and further. NATO took action in Kosovo, because otherwise in the heart of Europe during the century of humanity a whole nation would have had to move from their own territory and would have been exterminated. 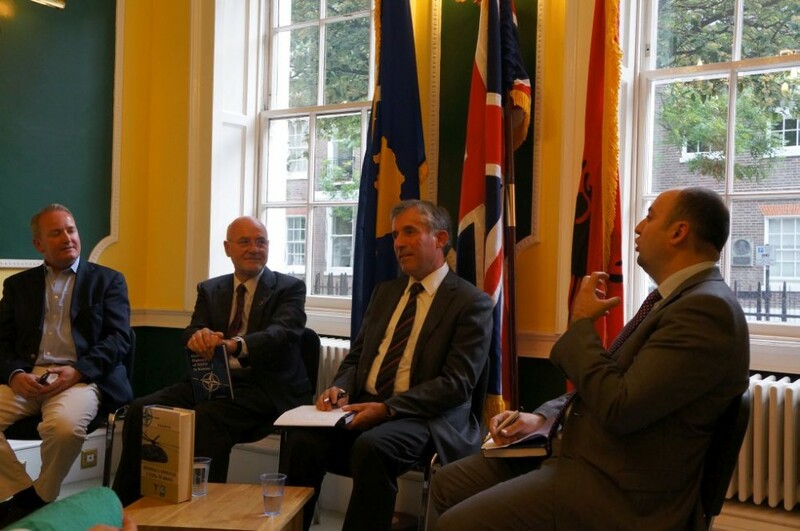 Kosovo owns all the recourses and possibilities to translate the investment of NATO, of the West including USA, UK and Germany, into a source of its own success for freedom and a future for the country,” said the prominent author Dr. Enver Bytyçi at the book launch in London. The book “Coercive Diplomacy of NATO in Kosovo”, written by Dr. Enver Bytyçi, is published in English by Cambridge Scholars Publishing. It examines the developments of NATO’s involvement in Kosovo and the policies of the respective western countries. 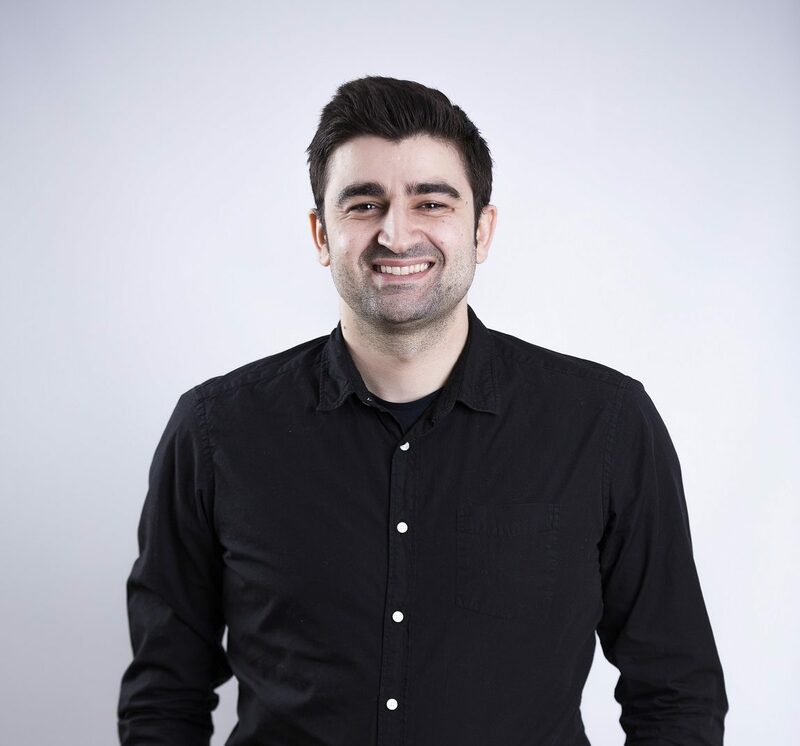 Dr. Enver Bytyçi is the Executive Director of the Institute of Southeast European Studies in Tirana and a Professor in the “Aleksandër Moisiu” University in Durrës, Albania. The Albanian-British Festival of Culture ended on June 4, 2015 with a presentation by Ambassador Mal Berisha held at the American Embassy in London. The lecture entitled “Life of U.S. 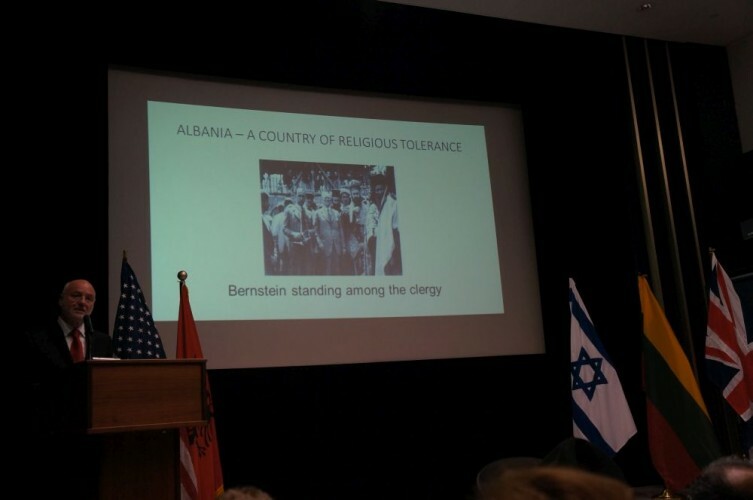 Ambassador Herman Bernstein and the Albanian Jewish Relations as a model of religious tolerance” focused on the history of Jewish-Albanian relations, set in the contemporary context of the recent tragic events of Paris and Denmark. The event recognised the extraordinary work and contributions of U.S. Ambassador Herman Bernstein, the role of United States and the relations between Israel and Albania. The event was organized by the Ambassador of United States of America in U.K., H.E. Matthew Barzun and the Albanian Embassy in London. The guests of honor included U.S. Minister Counselor Eric Johnson, Israeli Ambassador to the U.K. H.E. Daniel Taub, Lithuanian Ambassador to the U.K. H.E. Asta Skaisgirytė, and Albanian Ambassador to the U.K. H.E. Mal Berisha. U.S. Minister Counselor Eric Johnson delivered his welcome address and welcomed the dignitaries and the participants to the evening program. His Excellency Ambassador Daniel Taub talked about the role of U.S. and American Ambassador Herman Bernstein’s advocacy for the creation of the Jewish state. He addressed the excellent relationship between Israel and Albania. Ambassador Taub also emphasized the important role Albania and the Albanian families played in the rescue of Jews during the Holocaust. 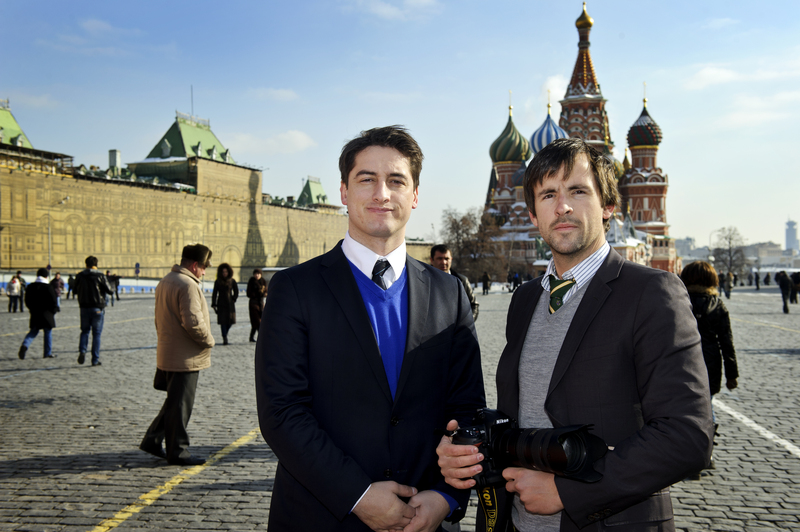 “I am particularly delighted to be here with Ambassador Mal for three reasons. Firstly, because of the remarkable relations between Albania and Israel. Here we have deep meaningful relations that are really an example for the rest of the world to follow. We established direct diplomatic relations in 1991. Since I have been here in U.K., since 2011, we have had a visit by the Albanian Prime Minister, we have set up the Israeli Embassy in Tirana. Secondly of course, the remarkable story of the Jews of Albania. Albania is the only occupied country in the Second World War that ended up with a larger Jewish community, of 2000 Jews that it had before. 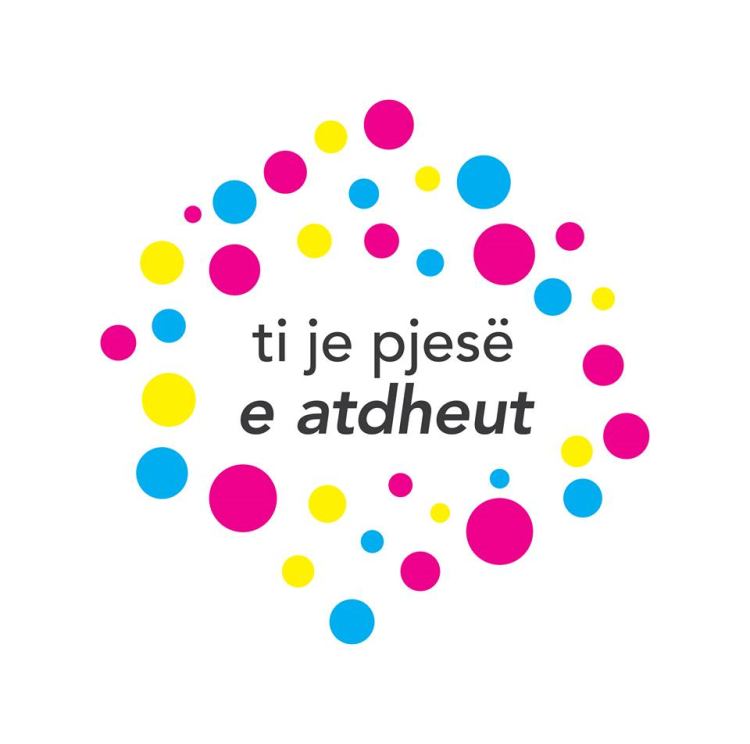 And because of the decision of its leadership, but more importantly because of the convictions of the people of Albania and their commitment to the principle of BESA, of hospitality, of looking after the strangers as guests in their midst. And finally, the other reason why it is a thrill to be here today is because of the person that we are acknowledging, a truly extraordinary American diplomat, Herman Bernstein. Not just a diplomat, a writer, a journalist, an activist, a man of conscience. And a reminder to all of us diplomats of the power of one, what you can achieve with conviction, with commitment and professionalism. And he championed many causes. He loved his three years in Albania. He was passionate Zionist, an advocate of the Jewish state,” said guest of honor His Excellency Ambassador Daniel Taub during his speech. The extraordinary history of rescue in Albania has been a unique story, making Albania the only country in Europe during occupation with more Jews within its borders at the end of WWII, then at the beginning of the war. Albania, comprised of Muslims, Christians and Orthodox Christians, is an exceptional model of religious tolerance and harmony. Thousands of Jewish Refugees were saved in Albania by courageous Albanian families who risked their lives because they live by the moral code of honor, “Besa” (word of honor), still followed today. “The situation for Jews was deteriorating all over Europe. Bernstein and the Albanian King Zog had spoken together about creating a safe haven for Jews who might be sheltered in Albania. King Zog had given the consensus for that. King Zog also promised to enact a decree for all Albanian Consular Missions all over Europe in order to grant visa for all the Jews who were trying to escape. So all the Consular Missions of Albania in Europe were instructed to give visas. At least a couple of thousands Jews from Austria, Germany, and Yugoslavia made their way to Albania,” said the Albanian Ambassador to the UK, H.E. Mal Berisha. The keynote speaker Ambassador Mal Berisha spoke about “Besa” as the cultural code of honor that motivated the brave acts of the Albanian people who sheltered, saved and protected the Jews. “BESA is a code of conduct that stands above religious differences.” By the end of WWII Albania had tripled its Jewish population, sheltering Jews from Austria, Germany and Yugoslavia. “Albania was the only country in Europe where the Jewish population had increased during the years 1939-45. We are very proud that during WWII and the time of the Holocaust, including the history of Jews before and after the war, there is no one single life of a Jew that was lost in our country. Ordinary people sheltered Jews in their houses and protected them by the Nazis. We have people from Albania in this hall tonight who have protected the Jews and sheltered them, based on the noble virtue of “Besa”. Besa is the word of honor which is related to hospitality. Jews were considered guests who should be taken good care of,” stated Ambassador Berisha. Jewish rescuer and living witness Neki Babamusta and his wife, Suzana were present at the event that honored U.S. 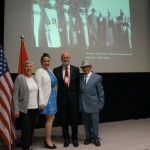 Ambassador Herman Bernstein in London and the Albanian-U.S.-Jewish relations. The brave acts of his parents Beqir and Rabihane Babamusta sheltered and saved Jewish Refugees in Albania. Neki Babamusta vividly remembers the events of 1943, he was only 8 years old, when the Gestapo Nazi soldiers threatened to burn the house and kill the family members at gunpoint if they did not turn in the Jews they were hiding. At the time Neki’s brother Qemal Babamusta was a partisan in the Squadron of Peza, alongside the command of British officers fighting against the occupying German soldiers in Albania. Neki’s two uncles Muharrem and Refat Teliti had also joined the partisan forces of Peza. Today, Neki Babamusta, is an 80-year-old retired professor living in London. Seventy-four years later Neki Babamusta still holds a rare photograph picturing him and his classmate Gavra Mandil, a Jewish Child Refugee in their first grade elementary school year in 1941-1942 in Kavaja, Albania. The same exact photo has been submitted by Gavra Mandil to the U.S. Holocaust Memorial Museum in Washington DC. Beqir and Rabihane Babamusta rescued the families of two Jewish brothers: David, a carpenter, his wife and four children, and Luiz, a tailor, his wife, son and daughter, who were also sheltered by the Zyba family prior to being escorted safely to Bari, Italy. Their relatives, Mehmet Babamusta and his brother Isuf Babamusta, who worked at the Court of Kavaja issued passports and found shelters for a significant number of Jews, 178 (Albanian State Records). During his lecture Ambassador Mal Berisha focused on the life and work of U.S. Ambassador Herman Bernstein, his role on the positive Albanian-Jewish Relations and on Bernstein’s efforts to save Albanian Jews during WWII. 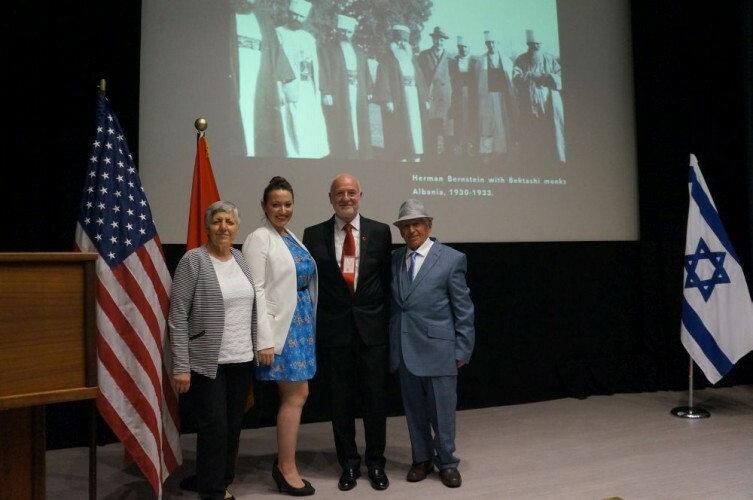 Ambassador Berisha pointed out that Herman Bernstein started to learn about Albania during the 1919 Paris Peace Conference, which he attended with the American Delegation as a Journalist along with President Woodrow Wilson and American missionary, Charles Telford Erickson. At the Conference they lobbied to protect the Albanian territories. In 1913 Woodrow Wilson saved Albania from having its territory given away to its neighbours by the Big Powers during WWI. Ambassador Berisha credited President Wilson’s advocacy during the Conference of Ambassadors why Albania remained united in the territory where it is even today. Ambassador Berisha also spoke about another prominent figure to the positive U.S.-Albanian history and relations, President Herbert Hoover, “who knew a lot about Albania before becoming president in 1929.” On February 17, 1930 President Hoover appointed Herman Bernstein as Ambassador of United States of America to Albania to maintain the Indepdence of the country and protect Albanian integrity from Greece and Serbia. “In 1925 President Herbert Hoover gave a donation of 10,000 US dollars from his personal account, on the condition of anonymity, for the Agricultural School of Kavaja in Albania. And in 1930 President Hoover assigned Bernstein as the U.S. Ambassador to Tirana. During his tenure as Ambassador of United States in Albania he signed two agreements between the two states,” said Ambassador Mal Berisha during his lecture. “The U.S. Embassy in Tirana is a historical object because it was the first embassy building to have been erected by the American government in the world. It was inaugurated on the Day of Thanksgiving on November 27, 1930.” added Ambassador Berisha. “Tirana was to me for three and a half years a most fascinating listening and observation post. I found that though Albania has often been referred to as one of the most sensitive danger zones in Europe, the Albanians are a peace-loving people, and the policy of your government is unquestionably a policy of peace in the Balkans. I visited practically every part of Albania and learned to know and to love your people, whose simplicity, genuineness, hospitality and kindliness have left an indelible impression upon me,” Hermain Bernstein, U.S. Ambassador to the Kingdom of Albania in 1930. Herman Bernstein was a courageous journalist, a Jewish activist, a great diplomat and intellectual. He was decorated with the highest honor by Albania, the Star and Knight’s cross of the Order of Skanderbeg for his contribution on strengthening American-Albanian relations. 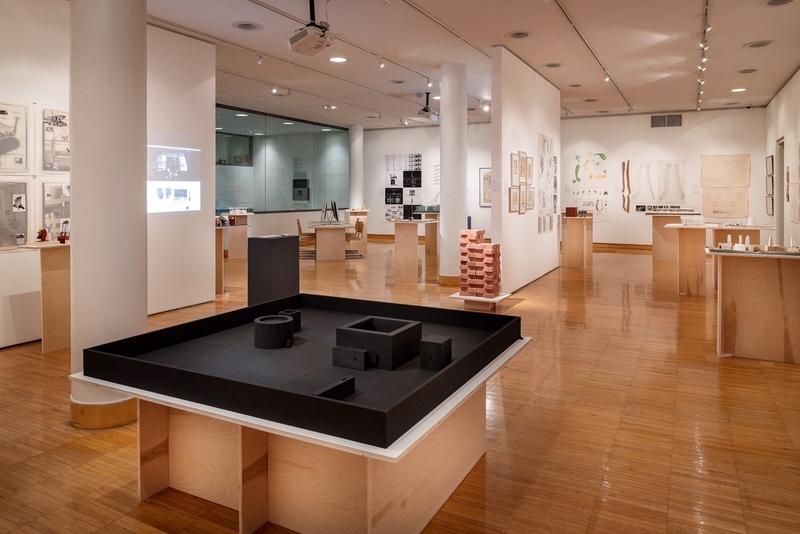 “The legacy of Herman Bernstein goes beyond the diplomatic service. Bernstein was loved very much by the Albanians. He is an important figure for the Albanian-American relations. He advocated for the small country, learning about its history and culture, writing articles about its history, helping to open schools, and warning the world about its tragic future. He was a great man, of a great nation and great people,” stated Ambassador Mal Berisha during his closing remarks. Ambassador Berisha thanked the YIVO Institute for Jewish Research and American Ambassador H.E. Matthew Barzun for their support and gifted a copy of the film “BESA: The Promise” to the American Embassy in London.